The sound of a phone click used to make my stomach drop. Be confident. This is the first and most important step to a sales call: go into the call with confidence and optimism each and every time. If you feel that the call is going in the wrong direction, find a common ground to identify with your customer and steer the conversation back. Each time someone hangs up on you, reflect on why it happened and use that experience as feedback to improve for the next call. It is easier to be confident when you are well-prepared and well-researched. If you feel nervous, run through your call with a friend. Listen. Don’t think that preparing and practicing your pitch allows you to go on cruise control. Listen to every piece of feedback, have a full conversation, and never interrupt the customer. Be yourself. 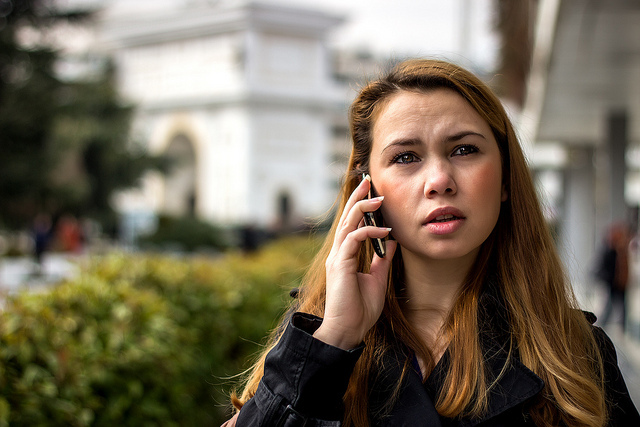 It’s easy to feel uncomfortable on the phone, and your customer will detect your unease. To prevent this, don’t try to be someone else on the phone. The most effective salespeople aren’t always aggressive, loud, and pushy. In fact, in my experience, a genuine connection is much more effective. However, the most important aspect is to feel comfortable with your style and personality. Speak at a normal speed. There is nothing worse than trying to have a call with someone speaking too quickly or very slowly. Be respectful. If you are cold calling, once you make your point quickly, ask if this is a good time to talk. If it isn’t, ask when would be a good time to call back and follow up via email to confirm the time. Know who to ask for. Whatever your reason for phoning, know who is the responsible decision maker. For some of our clients, it is the head of marketing and sales. When I sold products to stores, I usually spoke with the accessories buyer. Find out who makes the final decision before you pick up the phone, or you will waste your time and theirs. Sales calls can actually be really fun once you get a few big wins. I promise, it gets easier with practice.